There are many ways of creating an Sitecore website. 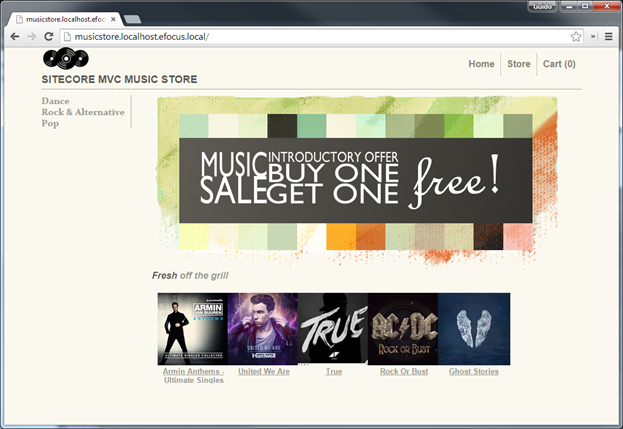 You can choose to do this with MVC and even then there are multiple ways of creating a Sitecore MVC website. 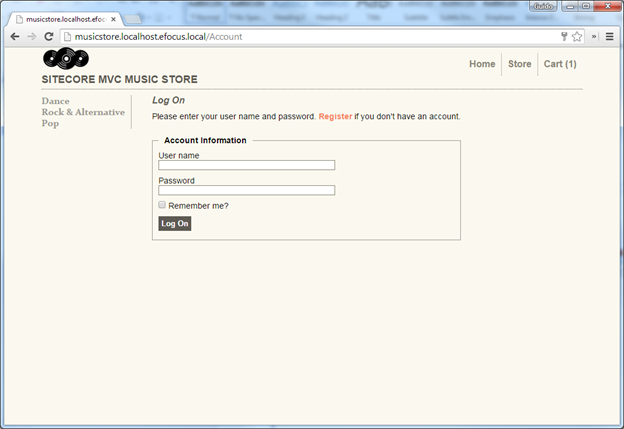 In this tutorial I will create the ASP.NET MVC MusicStore site with the usage of Glass.Mapper and BoC. Both are Nuget packages which add very helpfull functionalities to Sitecore. In this series we will learn the basics of developing a Sitecore MVC site. We will be creating a Sitecore 8 site with help of the Glass.Mapper to create code-first models and templates in Sitecore(more on this in part 2). If you don’t want to use Sitecore 8, you can also use any other version of Sitecore above 7 but keep in mind that some of the Nuget packages we will be using might not support the older Sitecore version anymore! Take note that I will not go in detail about the working of Sitecore, but only on how to implement an MVC project in a Sitecore website. Feedback and questions about this series are always welcome. Just add a comment to any of the posts, and ill reply as soon as possible. The website we’ll be building is the same site which is created in the ASP.NET tutorials. The application is a simple store for music albums. Visitors can browse albums by genre and add single albums to their cart. 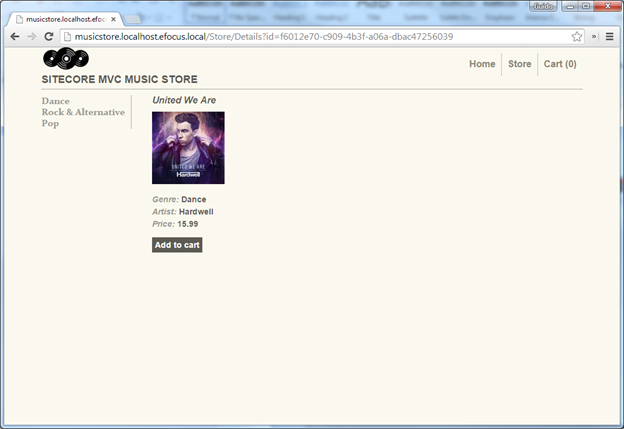 The users can view their cart, remove items and checkout. But before they can checkout, the will have to login or register. 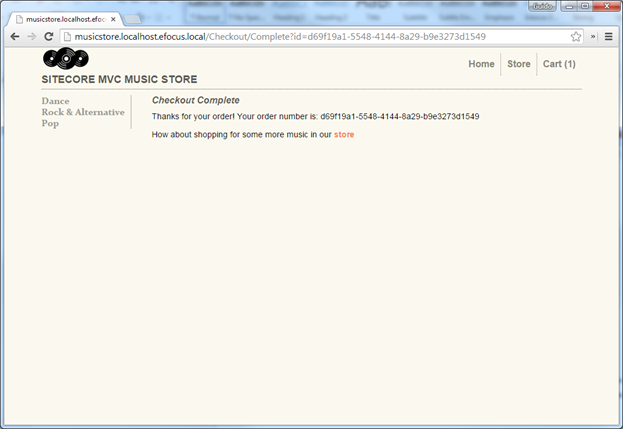 After checkout the visitor will be shown a simple checkout completed page. All the album, genre, artist, account and order details are saved and managed in Sitecore. Before we can start creating our store, we need to have a Visual Studio solution where we can develop in. There are a few ways of creating a solution for development of a Sitecore site. Everybody has its own favorite way of working. In another post I described one way of working. This isn’t even my favorite way of developing, but it’s easy to setup and create a new website.